UPDATE: See the updated section about emulators and simulators. Finding the right tools for developing mobile web is not simple. There is no information, and every vendor doesn’t care about mobile web developers right now. Try to look at any vendor website to see if, in the description, you can find if the SDK or the emulators works fine for mobile web testing. 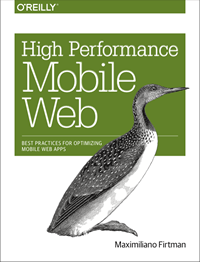 This post is an extract of Chapter 4 of my book “Programming the Mobile Web”. The Android emulator is available in conjunction with the SDK to create native Java applications for Android and it includes the browser. We can download it free from the developer.android.com. We can download the base SDK and later each Android OS separately, like 1.0, 1.5 and 2.0. It is available for Windows, Mac OS and Linux. Once downloaded, we should create a folder in our hard drive and unzip the contents of the package. In the folder where we extracted the package, there is an android terminal command in Mac/Linux and a SDK Setup.exe application for windows that opens the Android SDK and AVD Manager where you can download and configure Android platforms after installing the base SDK. Nokia always had the better emulators since the beginning of mobile web development. Instead of one emulator per device, we can find one emulator for each version of each platform. We can download emulators for Series 40 (mid and low-end devices) and for S60 (Symbian smartphones) at www.forum.nokia.com. In some particular situations, we can also find specific model emulators with specific features, like Nokia N97. Only available for MacOS X, the iPhone Simulator is offering a free simulation environment including Mobile Safari. It is not an emulator, so we do not have really a hardware emulation experience, or a performance indicator. However, it is perfectly suitable for see how our website is rendering and our code working. It’s not the perfect tool to measure performance of our website. The iPhone Simulator is included with the iPhone SDK for native development, available free at developer.apple.com/iphone. Do it with time, because it is a more than 2 Gigabyte download. Palm had emulator support for more than 10 years and always had great support on these tools. We have already talked about the history of Palm and Palm OS and we are going to cover only the new Web OS, the operating system available since Palm Pre. We can download the Palm Mojo SDK that includes the Palm Emulator, from developer.palm.com. It is available for Windows, Mac and Linux and it needs to have installed before the Sun VirtualBox, a free virtualization software (available at www.virtualbox.org). Research in Motion (RIM), vendor of the popular BlackBerry’s did a great job with emulators with one only problem: it is very difficult to decide which emulator download and use. There are dozens of different installers available. All the tools are available at blackberry.com/developers and include the proxy server, plugins for Eclipse and Visual Studio for web developers and the simulators. All tools are only compatible with Windows operating system. The first requirement is to download the BlackBerry Email and MDS Services Simulator Package. This proxy allows any simulator to access the network and simulates e-mail and enterprise server. Before opening any browser, we need to start this service in our computer. To install Windows Mobile emulators, we can use Visual Studio 2008 or 2010 or download them without the IDE in stand-alone mode. The emulator isn’t available from the free Express versions of Visual Studio. The emulators are only available for Windows-based computers. More instructions to setup Windows Mobile emulators for using the browser in Chapter 4. If Japanese people should use our website, we should consider working for NTT Docomo i-mode devices. Fortunately for people like me, that do not read Japanese, the company has created an English version of the website for almost all the development information. In addition, we can download the simulator for its devices for Windows. In the website www.nttdocomo.co.jp/english/service/imode/make/content/browser/html we can find the i-mode HTML Simulator and the i-mode HTML Simulator II. The first one is suitable for simulation of devices prior to May 2009 and the second one is for the second generation of devices starting in May 2009. Just go to www.opera.com/mini/demo and enjoy a full Opera Mini application in a Java applet. This URL is for the latest version of the software (at the time of this writing, 5.0) but you can find also simulator for previous versions, like 4.2 at www.opera.com/mini/demo/?ver=4. At www.opera.com/developer/tools you can download an Opera Mobile emulator for Windows, Mac and Linux. More tools and emulators in Programming the Mobile Web. One other thing – there is a site now that rents out mobile handsets (with a video camera) so you can send inputs, download apps and do ‘real’ browsing on a ‘real’ device but remotely. We use this one to emulate iPhone and iPad browser on Windows: iBBDemo. It’s actually Air-based, so it’s cross platform. The tool is free and open-source.